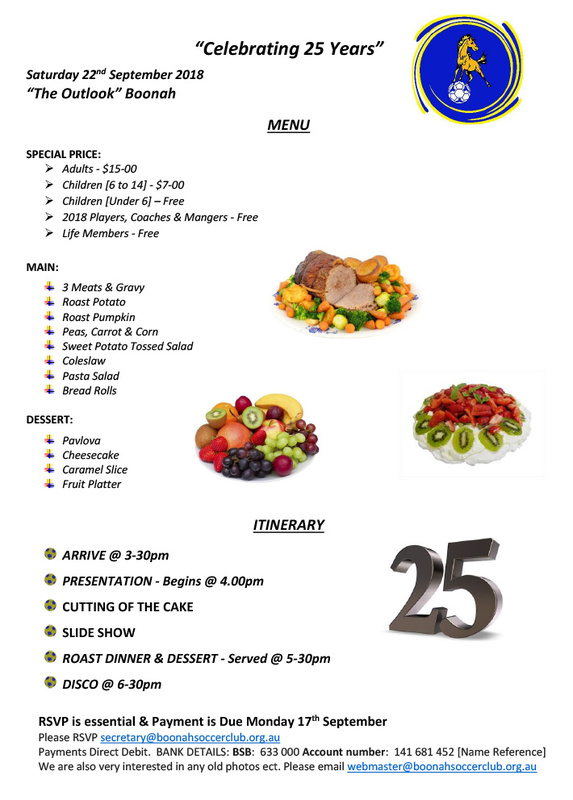 Celebrating 25 Years – Past Members Invited! 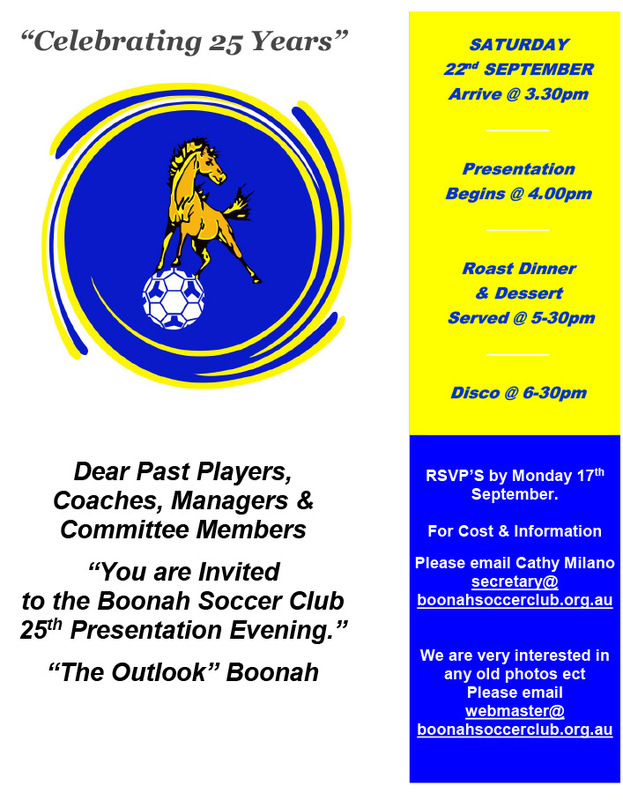 – Boonah Soccer Club – Soccer & Futsal Inc.
You are here: Home / Events / Celebrating 25 Years – Past Members Invited! For more information or to RSVP please email Secretary Cathy Milano at [email protected] by Monday 17 September.